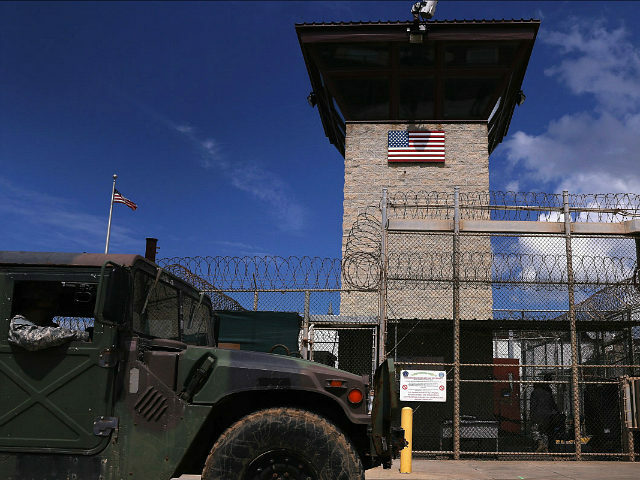 The Washington Post (WaPo) quotes Wells Dixon, a senior staff attorney at the Center for Constitutional Rights (CCR), as saying the Obama administration is to blame for the fact that the Guantánamo facility, commonly known as Gitmo, remains open. He said the Obama administration’s instinct to fight off legal challenges is responsible for the continued detention of some of the terrorists still held at Gitmo, including at least two of the five who have been approved for transfer — Sufyian Barhoum from Algeria and Abdul Latif Nasir from Morocco. The Obama administration’s “rejection of the legal petition to free the two prisoners, just days before [President Donald] Trump took office and shut down future transfer options, meant the men ‘may remain stranded at Guantánamo forever,'” declared Dixon. Attorneys for the [two] men, who were not included in a final set of [law mandated] notifications officials submitted to Congress regarding upcoming transfers say their repatriation did not come together for reasons unrelated to their backgrounds or security profiles. The legal teams requested that judges waive steps required before transfers can take place, including a 30-day congressional notice period, to allow the men to be moved before Trump took office. Last week, judges denied those requests. The five men who have been approved for transfer by Obama’s parole-style Periodic Review Board (PRB) but still remain at Gitmo have been identified as: Barhoum from Algeria; Nasir from Morocco; Rida bin Saleh al Yazidi from Tunisia; Tawfiq Nisar al-Bihani from Yemen; and Muieen al-Din Jamal al-Din al-Sattar of undetermined nationality. WaPo notes that like nearly all of the 41 detainees who remain at Gitmo, none of the men who have been approved for transfer have been convicted of a crime. “Two of the men, an Algerian named Sufyian Barhoumi and Moroccan Abdul Latif Nasir, now face indefinite detention after the defeat of an 11th-hour court action aimed at securing their release,” adds the Post. Among the prisoners released under Obama’s watch are some who had been designated as “forever prisoners,” or too dangerous to release. The too-dangerous-to-release designation did not prevent President Obama from liberating or clearing detainees for transfer. Of the 41 prisoners still held at Gitmo, more than half have been deemed as “forever prisoners,” which means they are facing indefinite detention. As of late last year, at least six had been facing death penalty tribunals, according to the Miami Herald. “There is a group of very dangerous people that we have strong evidence of having been guilty of committing terrorist acts against the United States,” conceded Obama, referring to Gitmo prisoners in November. President Trump has said no more prisoners should be transferred out of the Guantánamo facility, commonly known as Gitmo. In his quest to shut down Gitmo, Obama met bipartisan opposition in Congress, particularly to a primary tenet of the Democratic president’s proposal to close the military detention center — transferring captives onto U.S. soil. The president himself signed legislation into law that prohibits the United States government from transferring prisoners to the United States. Nevertheless, he blamed “all these rules and norms and laws” for his failure to shut down Gitmo. In November, President Obama suggested that he considered executive options for circumventing Congress but noted that there would be legal challenges. “Obama failed to accomplish his primary goal of shuttering the facility, unable to overcome political opposition to congressionally sanctioned steps, and unwilling to resort to executive action to make such a controversial move,” points out WaPo.